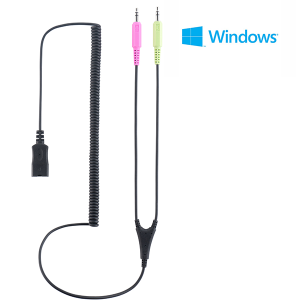 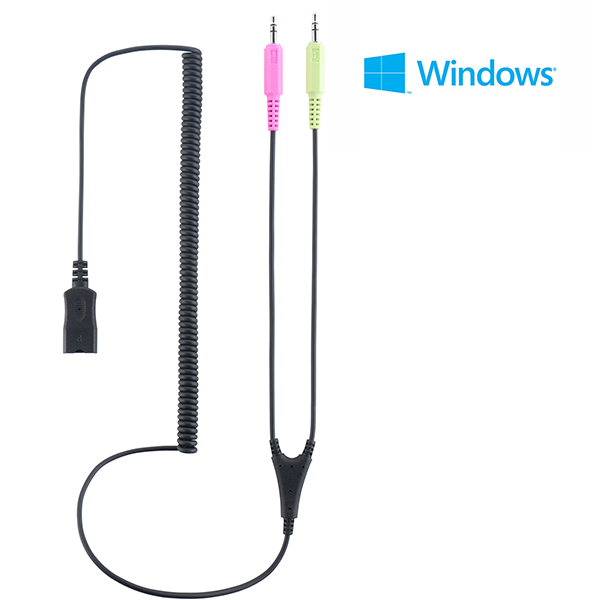 The Soundcard connection cord is designed for Windows computers with Integrated Soundcard. 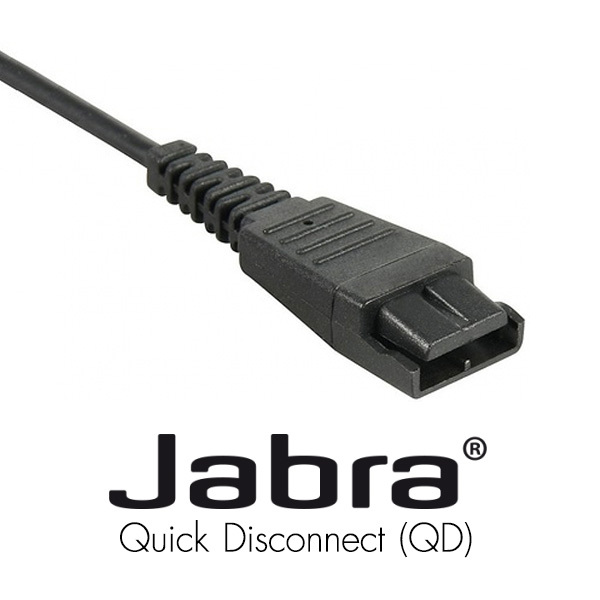 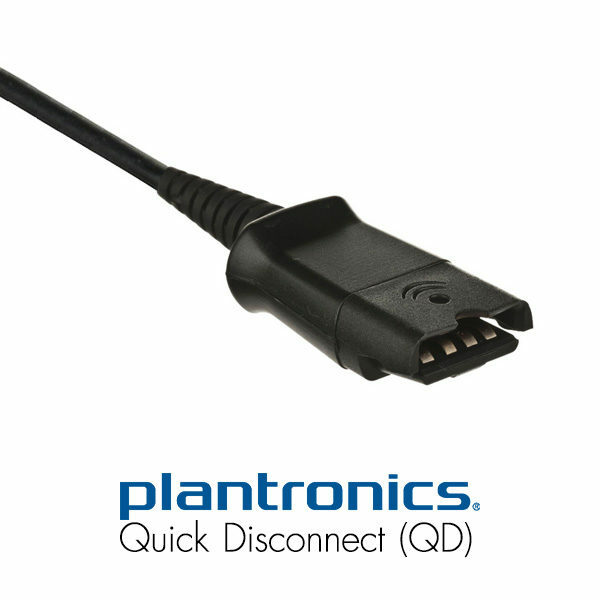 The cord allows you to connect your Headset with Jabra or Plantronics QD (Quick Disconnect) to any Windows computer with integrated Soundcard. 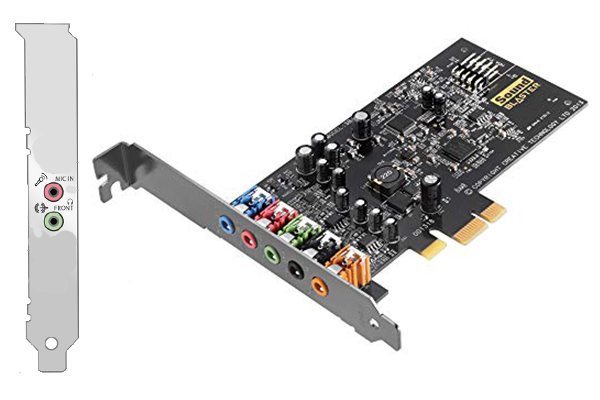 Take advantage of the fact that many desktop computers already come with an integrated Soundcard. 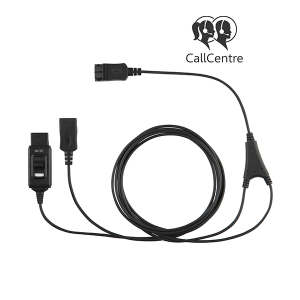 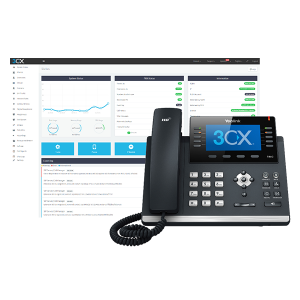 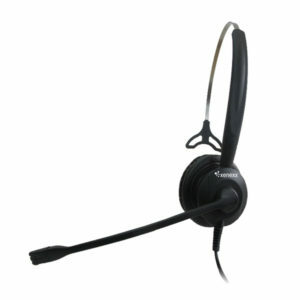 The Xenexx PC Soundcard cord allows you to set up a Contact Center with Softphones in a fast and economical way. 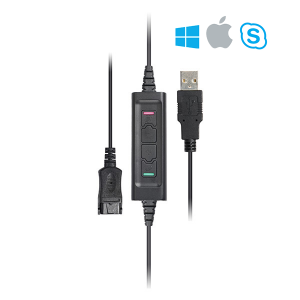 This Xenexx connection cord is fully compatible with any PC Soundcard and allows you to connect a professional Contact Center Headset via Jabra or Plantronics Quick Disconnect (QD). 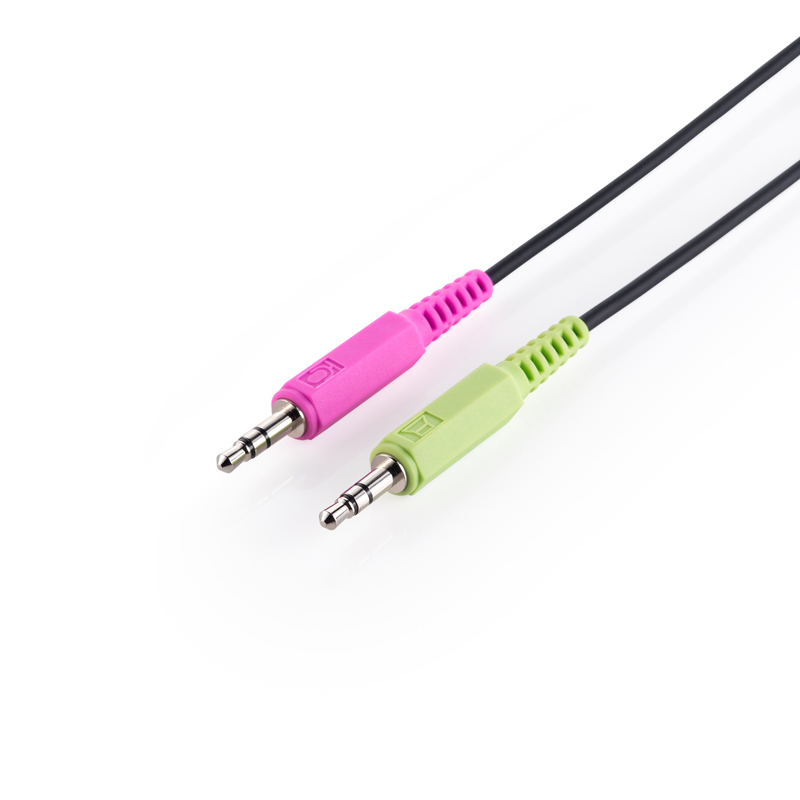 The bottom cord comes with a 1.8 m long cable that connects to your computer’s audio system using two 3.5mm cords.